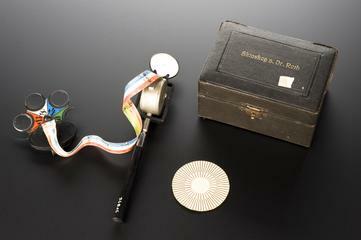 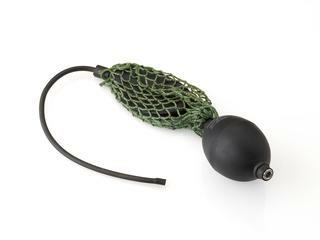 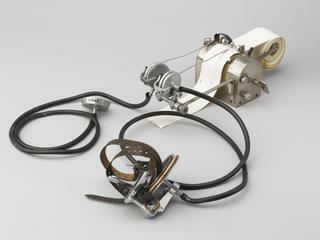 Sphygmograph by G. Boulitte, 7 rue Linne, Paris, France, in case. 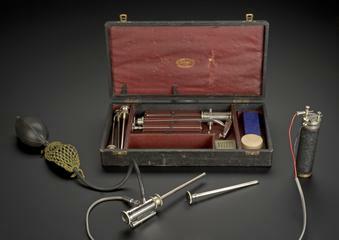 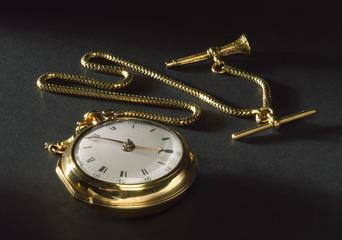 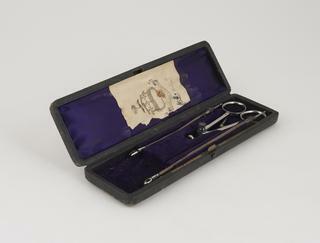 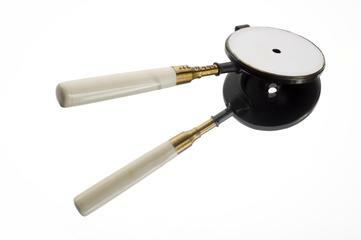 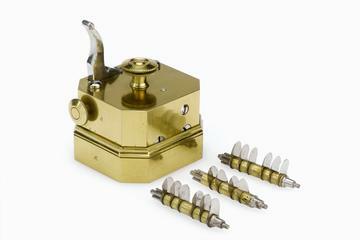 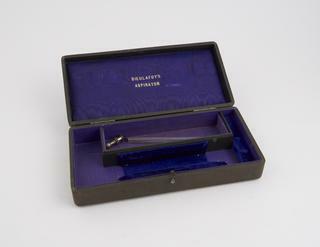 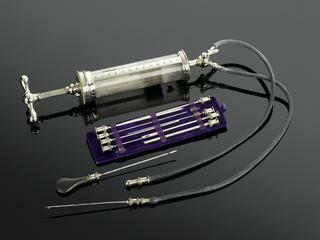 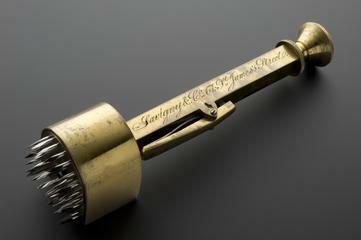 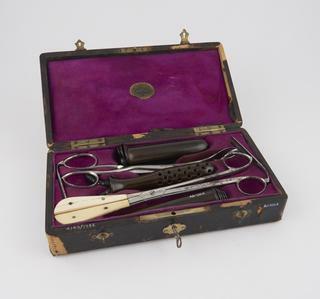 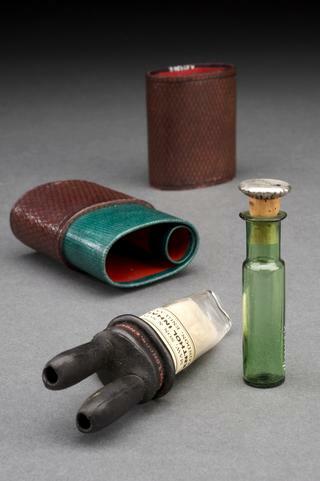 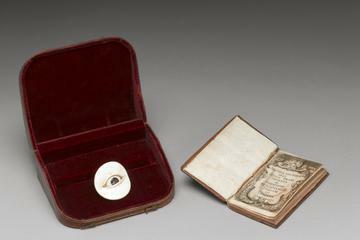 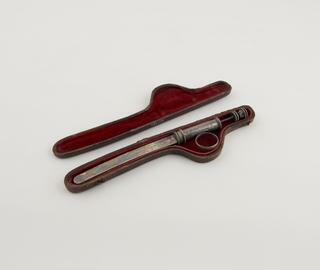 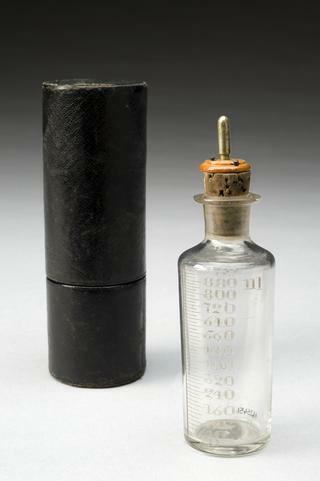 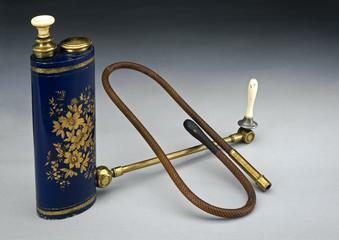 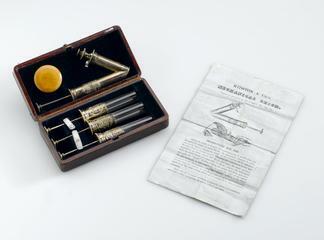 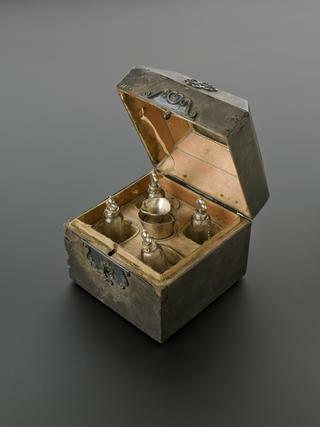 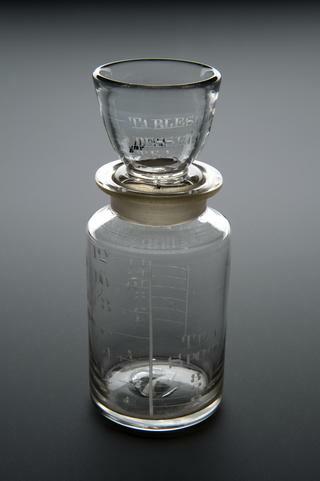 Urinometer, glass and mercury, with cylinder, in cylindrical leather covered case, by Ferguson, 21 Giltspur Street, London, England, 1830-1870. 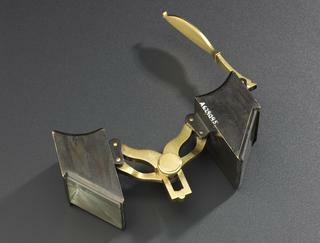 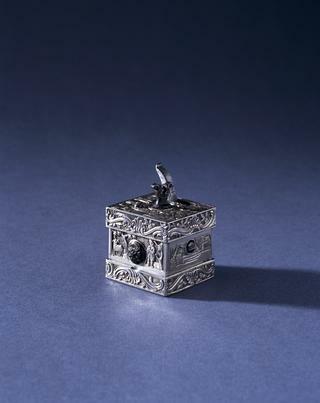 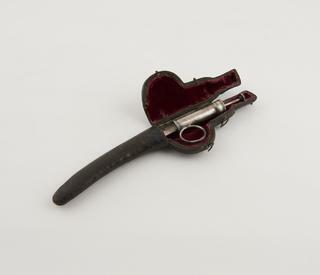 Steel automatic fleam, in leather covered case, by W. and H. Hutchinson, Sheffield, England, 1841-1900.